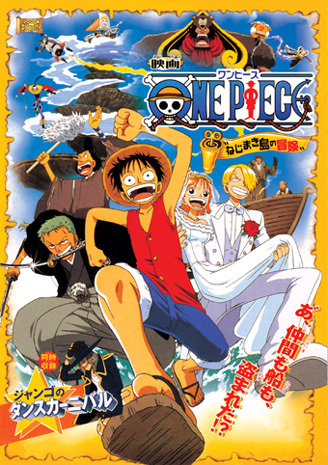 After relaxing on the beach, the Straw Hats find that the Going Merry is stolen by thieves. They chase after it and encounter the Thief Brothers, who plan on stealing the Diamond Clock from Clockwork Island becoming the worlds greatest thieves. They then encounter the Trump Siblings, a group of dangerous pirates with their captain, Bear King, who intends on becoming Pirate King. After Nami is kidnapped, the Straw Hats journey to Clockwork Island and challenge the Trump Siblings to a great battle in Trump Castle.